Hey everyone, Carl the trainer here and today I'd like to shed some light and reality of how the American culture is making us fat and why it's going to get worse every year, if we don't take action now! So the Disease Control Center reported that a whopping 70% of all Americans are overweight and 38% of Americans are obese. This means that almost three out of every four Americans are fat and one out of every three Americans are really fat. As a result of this shocking truth, our health care costs associated with these stats have reached over 147 billion dollars annually! The real truth is here that almost every American is sick and if nothing is done soon, seeing a fit and healthy body will be as rare as diamonds. Let me break down the three reasons why this is happening so fast. First, our food industry. The food we eat, how we get food and how much food costs contribute a huge part as to why we're heading in this direction. Sugar is making food addicting, we can get food anytime we want and food quality has gone down to feed families on a tight budget. Studies have shown that sugar light up the same receptors in the brain as if you were to snort cocaine, one of the most addictive narcotics abused. Sugar is in everything and this helps the food industry have repeat customers. Food is also too accessible these days. The human was designed to work to claim food but now you can order food whenever you want and even some restaurants and fast-food chains are open as late as 2 a.m. or even open 24 hours. Food has also become cheaper at the cost of quality so now lower-income families on budgets almost have no choice but to feed themselves and their children food that will get them sick, thus making these calculations and predictions of America's obesity epidemic even more true. Second, would be the lack of movement or exercise. As fat as we are as a country, we are very Innovative and smart. We're always finding new ways to achieve things faster with less work and that is huge reason why we move less and become lazy. There is a place in society for technological advances and Innovation but once it removes movement out of our lives, this is when it becomes a problem. Just like Sir Isaac Newton's first law of motion, a body at rest will remain at rest and a body in motion will remain in motion. The last contributing factor to this epidemic would definitely be stress. In the modern American society, we're so ambitious to have the nice house, the latest car, wear fancy clothes and to go on lavish vacations that we would actually sacrifice our own health and well-being just to achieve them. 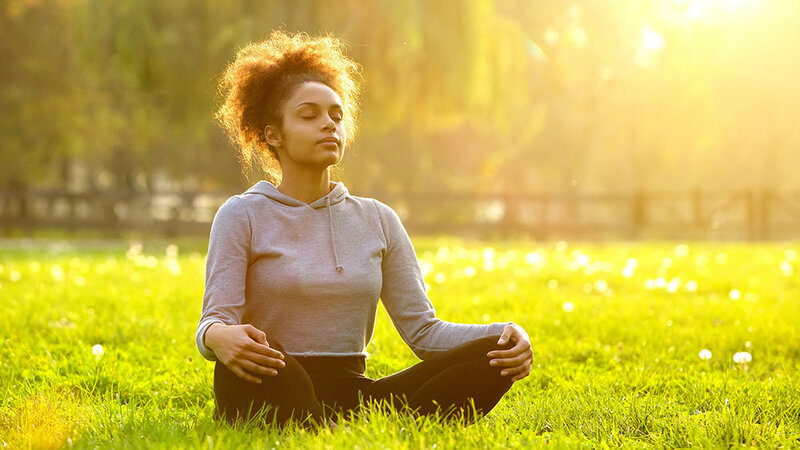 We "think" this will bring us happiness and relieve us of all of our stress but in reality, it's the laziness, poor nutrition and the lack of movement that is the source of all of these stresses. The truth is that if you prioritize your mind, body and spirit before anything else, you will achieve your “things” faster with virtually no stress! What use a drop-top Lamborghini at 65 years old when you can barely fit in the car and still driving around with the same unhappiness you always had except now you have Diabetes type 2 and Heart Disease. It sounds morbid but it will be if you do not listen to this truth. Now, I don't want to scare anyone away here but there is hope for everyone that falls into this statistic! The good news is that everything I mentioned is 100% reversible and achieving your peak health and fitness could be right around the corner. You know what it costs? It costs “YOU”! Like the great Maya Angelou said; "Nothing works unless you do!". If you don't want to be sick, learn to cook a healthy meal. If you are too lazy to workout, hire a trainer and if your stressed out of your mind, enlighten yourself with meditation, self-help books and believing that we are all just little dots in this vast universe. A universe that is designed to give us everything that we want in life but it's like a two-way street relationship. If there's a change that we are looking for in our lives, there has to be something given first. With that said, let's start with the small baby step of taking committed action! Hey Empyreans, Carl here and today I'd like to share how many meals you should eat to lose weight. First, let's ditch the word "weight" and say the word "fat"because that's what we really want to lose! When we lose fat, that's when the body unlocks its health properties. As for muscle, that's what we want to keep because it's the muscle that burns the fat. So don't just lose "weight", lose "weight of body fat"! Okay, let's talk meals, how many and when to have them. Studies have shown that when you eat smaller meals more frequently throughout the day, you will burn more calories, eat smaller portions and have better control of food cravings. With that said, eat smaller and healthier meals every TWO to THREE hours. Depending if you wake up early or stay up late, you may eat up to six times a day! Your body is a machine that never turns off, it can benefit from frequent feeding! In a perfect world, these six small meals can be split into three main meals and three snacks. After your first meal, allowed two to three hours before consuming your first snack. This will allow ample time for your body to digest the food. If eating this frequently isn't realistic for you, eat as healthy as you can, when you can. What we're trying to do here is create a natural eating timer so that your body doesn't register that you are ever hungry or starving (which always leads to food binging). Next, your workout schedule. 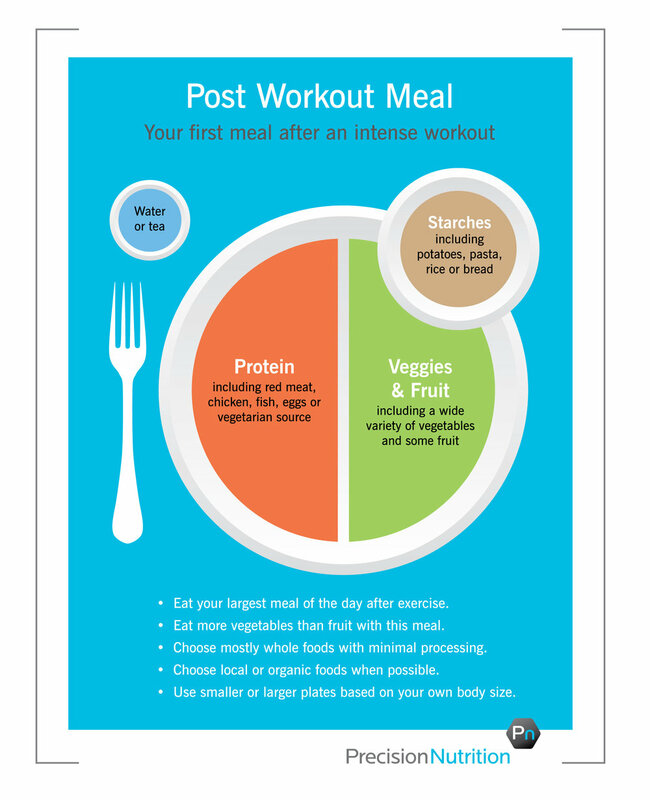 Your workout schedule plays an important factor in creating your eating schedule. Try to have your last meal or snack two hours before a workout. Within these two hours, your focus should be on preparing your pre-workout (liquid) protein shake. Then after workouts, there should be a (solid) meal consumed three hours after drinking your post-workout (liquid) protein shake. This is known as your post workout meal. 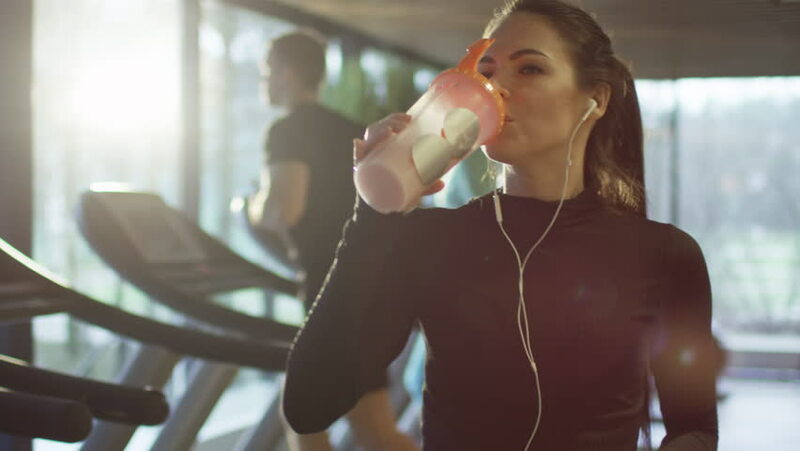 Keep this in mind for if you work out in the morning, your breakfast may be your pre-workout shake or if you workout at night, your dinner may be your post-workout meal. Lastly, your sleep schedule is another determining factor for setting up your meals. Studies have shown that when you consume a healthy meal or snack, like a protein shake, within the hour of rising that you will make healthier decisions throughout the day and have a regular appetite. Sleeping is like a mini fast because the body doesn't get to feed during that time. This makes it imperative to have your first meal close to waking to fuel your body for the day and avoid starvation. You may eat all the way to bedtime if the two to three hours spacing calls for it. When approaching bedtime, focus on foods that are higher in protein to help feed your muscles and help them recover as you sleep. Hey Empyreans, Carl here and today I wanted to share the foods that help you lose belly fat. Before we start, it is important that we understand that there is no such thing as spot treatment when it comes to burning body fat. Fat melts evenly across your body from the outside in, starting at your extremities and ending right in the center of your body or your belly button to be exact. Your mindset has to gear for a marathon, not a sprint. This won't happen overnight and that's out of your control but what you do have full control of is your mindset and the foods you eat to help accelerate this process. Humans were designed to drink water and consume meats, fruits, vegetables, healthy fats and natural grains. When we begin to eat foods that were designed for our species to eat, your body will not only know how to use those nutrients to burn fat but it will also create a strong foundation from where health and fitness can grow. The main point to understand here is to stop eating like Trainer Joe or @miss6pack_fitness and start eating like a human being. Meats give your body the protein it needs to regenerate and build muscle. Meats are the most protein-dense foods humans can consume. They help you feel satisfied after meals and can naturally burn more calories during digestion because of its dense make up. Vegetables provide your body with all of your micro nutrients it needs to live a long life and its high- fiber, low-carb content make it the smartest addition to any meal. Its natural fiber and abundance of micro nutrients satisfy your body on a cellular level controlling "overeating" and food "cravings". Healthy Fats are the premium of all nutrients because they provide the energy to sustain life and should also be present at every meal.. They provide the most energy per gram and help burn "sticky"fat that is usually found in the arteries, muscle and belly. Fruits provide your body with "quick" energy for these foods are easily absorbed and cause a rapid spike in blood sugar. Fruits are best utilized for activities that are high-effort and short lasting like weightlifting or sprinting. Some different examples of fruits could be apples, oranges, berries and grapes. Natural Grains provide your body with "slow" energy for these foods are slowly absorbed and raise your blood sugar levels are a longer period of time. Natural grains are best utilized for activities that are low-effort and long lasting like biking or running a marathon. 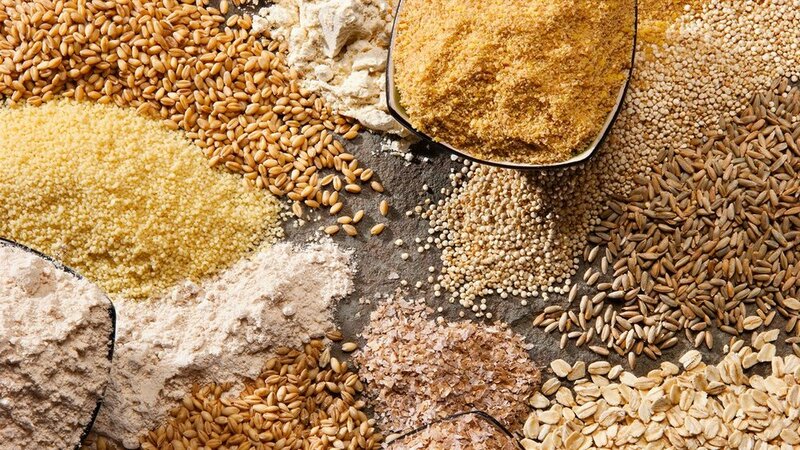 Examples of natural grains could be the organic version of granola and oats. And last but definitely not least, WATER! Water is the element of growth and most importantly the transport system that quickly delivers all of these nutrients throughout your body! Hey Empyreans, Carl here and today I wanted to share with you THREE mind tricks that can get you to start eating healthier. First and foremost, food is FUEL - not a fattening agent. Food fuels your body so that you can move, think and most importantly, stay alive! This is very similar to how a car needs gasoline in order to start the engine and continuously run. When you begin to see food as fuel, you'll have a better understanding of what foods you really should be eating to energize your daily routine. For example, a professional Strongman who trains five - seven times a week and carries loads excessing over 500 pounds per training session should be eating (or fueling) all day and night...which they do...eat all day and night. The problem in modern society is that we're eating like professional Strongmen, drinking like college students and moving/living like sloths. When you begin to look at food as fuel for your daily routine, that's when you begin to understand what foods you should be eating, when you should have them and how much you consume at a time. Next, "If I eat less, I will lose more!" is one of the biggest misconceptions in fitness and nutrition. In our country, we glorify fashion models that look like "Barbies" thinking this is what true fitness success looks like but in reality, that is what malnourishment looks like. Not only will you develop a resentful relationship with food but you will be fat, tired and unhappy. Depriving your body of food in attempts to lose body fat (or weight) is a common mistake many people make. When we skip meals, we lose our appetite (the natural desire to eat) and only feel "hungry" when we're absolutely starving. This leads to uncontrolled food binging, feelings of resent towards food, increased stress levels, a slower metabolism, digestion problems and accelerated fat gain. Our metabolism naturally declines with age and when you're on "the starvation diet", not only will you gain fat faster but it will be nearly impossible to burn that fat UNLESS you change your eating habits and patterns. Lastly, let's be honest, food is the best when it LOOKS good, SMELLS good and most importantly TASTES good. Being "food enthusiasts" here in in this country, these factors are very important to us. Most people have the perception that healthy food doesn't taste as good as the "real thing" but this all could've been caused by an unpleasant eating experience in attempts to eating healthier in the past. For example, if a celery sticks were dumped on a plate and someone told me I had to eat them because I needed to be healthier, I would hate it - borderline mad. Celery tastes fine but it was the eating experience and presentation that made it dull, boring and ultimately unappetizing to eat. When you begin to eat healthier, keep eating the foods you love but try to find a healthier and creative way to cook and present them so your eating experience feels, smells and tastes the same as if you had the "real thing". Try substituting Romaine Lettuce for taco shells, stuffing meats with vegetables and cheese or substituting cauliflower in recipes that call for potatoes. If you're really looking to change this habit in 2018, it all starts with your how you "think" and "feel" about food. Thank you all for taking the time to read this, talk soon!